The media coverage of the leaked ‘Palestinian papers’ – messages sent between the Israeli government and the Fatah government in the West Bank under President Abbas – and of the demonstrations across dictatorships across the Arab world from Tunisia to Egypt and Yemen, is missing the context and the key facts. The context is that the US and European governments continue their shameful support for dictatorships and appointed governments and undermine democracy across the Arab world from the West Bank and Gaza to Egypt, Saudi, Tunisia, Jordan and Libya. The fear mongering about Islamists is just a cover story – Islamic political parties are not Al Qa’ida and are often, as in Turkey, more moderate than some extreme secular nationalists. 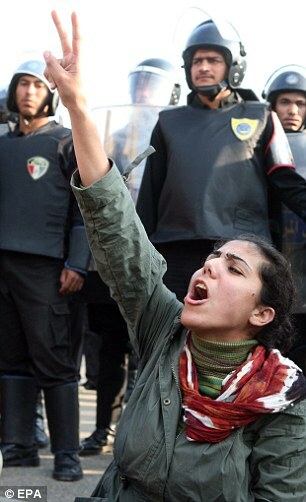 It’s time to tell our governments to back the people of the Arab world, not the dictators. One of the big myths on Israel and the Palestinians is that Abbas and his Fatah party (the largest in the PLO) are the legitimate, elected Palestinian government, while Hamas seized power by force in Gaza. 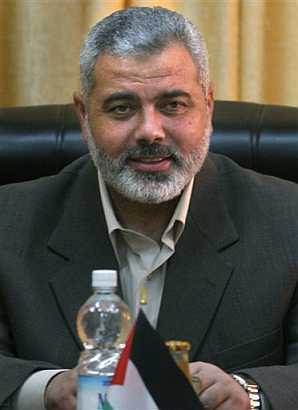 The reality is that after EU and other election observers found Hamas won free and fair parliamentary elections in 2006, the US, Israeli and Egyptian governments refused to recognise or negotiate with them and imposing sanctions on the whole of the Palestinian Authority - pushing Hamas and Fatah into civil war - and when Hamas ended this by offering to share power with Fatah despite Fatah having lost the elections, still refusing to lift sanctions on the whole of the PA. This led to renewed civil war as the US, Egyptian and Israeli governments backed a military coup attempt by Fatah's armed wing, which failed in Gaza, but succeeded in the West Bank. 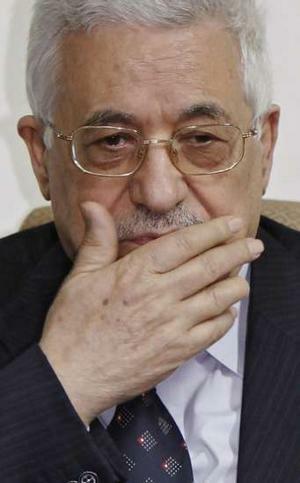 Mahmoud Abbas of Fatah (elected President in 2005) then went far beyond his constitutional powers to appoint his own (completely unconstitutional and unelected) Prime Minister (Salaam Fayyad) and Cabinet, ignoring the elected PM Ismail Haniyeh of Hamas. 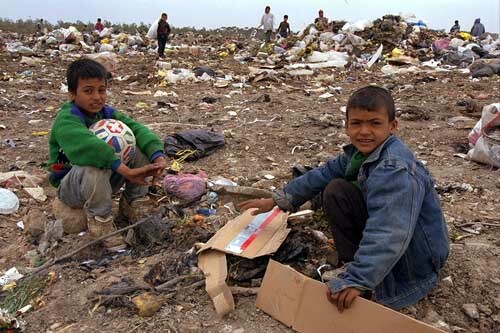 While Gaza is under blockade new elections there would be irrelevant - especially while Israel and the US and EU continue to refuse to recognise the results of past elections, which means if new elections don't go the way they want they'll ignore those too. There will be no peace until the results of democratic Palestinian elections are respected and Hamas are included in negotiations. Israelis have elected a string of war criminals - the worst being Ariel Sharon - but no-one places sanctions on Israel and demands they reverse the results of elections as a result. The claims that Hamas has refused to negotiate with Israel or to consider recognising it’s existence are also lies – they have offered to do so repeatedly – and many Israelis, from former heads of Shin Bet military intelligence and Mossad to former foreign ministers have said for years that negotiations should begin without any preconditions. Abbas and Fatah know they will lose any elections in any case, due to their corruption and their decision to collaborate with the Israeli government against their own people. Leaked documents show they had asked Israel to make military attacks on Hamas in Gaza, asked the Israeli and Egyptian governments to tighten the blockade on Gaza (punishing not just Hamas but the whole population of Gaza); helped stall a UN report on Israeli war crimes in the Gaza war at the request of the US government; and asked Israel to assassinate members of Fatah’s own armed wing. This just adds to Fatah’s long history of torturing and jailing it’s own people in alliance with the Israelis. No wonder Fatah sent some hirelings to attack Al Jazeera’s offices in the West Bank for publishing the leaked documents. Far from supporting democracy for Palestinians, President Obama’s administration threatened to end US aid to the Palestinian Authority in the West Bank if anyone but Abbas is elected President - leading Abbas to cancel elections in the West Bank despite his term having ended in January 2009. New legislative elections should have been held in 2010, but are just as unlikely as long as the blockade of Gaza continues. This is nothing unusual. The US and various EU governments are hostile to democratically elected governments across the Arab world, because, from the empires established by the French and British between World War One and World War Two on, dictators have always served the interests of the wealthiest and most powerful in the “developed” world. Palestinian American historian Rashid Khalidi’s book ‘Resurrecting Empire’ is very informative on the continuation of these policies from 19th century European empires to the present US led ‘war on terror’. ( To read more about the truth about the war on terror from Iraq and Iran to Somalia go here). While democracies want annoying things, like a decent standard of living and enough food for all their people, dictatorships will happily sell their people out for a share of the spoils. That’s why the Obama administration continues to give massive military aid, training for police and militaries and political support for the corrupt, torturing, murdering, dictatorships across the Arab world from Saudi and Egypt to Libya, the same way the Bush administration did before them. As long as that continues Obama’s much hyped Cairo speech is so much hypocritical hot air. It’s why, as Egyptians are currently being shot dead by Egyptian police and soldiers for demonstrating and demanding Mubarak’s dictatorship is ended, the US government has funded the arming and training of the people killing them – and President Obama – who condemned this kind of “brutal repression” when the Iranian government was responsible, has vaguely pontificated about how both Mubarak and his people should avoid “violence” as “violence in not the answer”. It's why US Secretary of State Hillary Clinton, rather than backing the protesters for democracy, has claimed the Mubarak regime is "stable" (stability being the usual codeword for a client dictatorship "doing what the US government tells it to do) and that it shooting several people dead and jailing a thousand counts, for her government, as “looking for ways to respond to the legitimate needs and interests of the Egyptian people”. Egyptian and former head of the IAEA, Mohammed El Baradei, responded “"I was stunned to hear secretary Clinton saying the Egyptian government is stable. And I ask myself at what price is stability? Is it on the basis of 29 years of martial law? Is it on the basis of 30 years of [an] ossified regime? Is it on the basis of rigged elections? 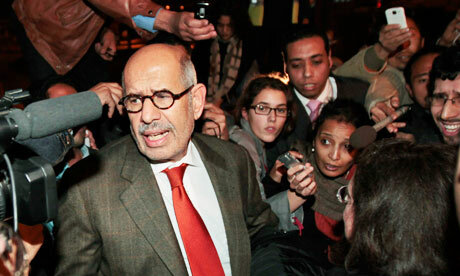 That's not stability, that's living on borrowed time,” said ElBaradei. "When you see today almost over 100,000 young people getting desperate, going to the streets, asking for their basic freedom, I expected to hear from secretary Clinton stuff like 'democracy, human rights, basic freedom' – all the stuff the US is standing for," he said. It’s also why the initial response of the French government to demonstrations against Ben Ali’s dictatorship in Tunisia was to say it would send Ben Ali’s regime some French police to help keep the demonstrators from getting out of control – before pretending, like Obama and the rest, that it had always been for democracy once Ben Ali was overthrown (while the hypocrites continue their arms sales, financial aid and political support to other dictators across the region). The idea that Muslim equals extremist or terrorist is also ludicrous scaremongering. The ruling party in Turkey is Islamic, but considerably more democratic than the extreme nationalist secular military governments that preceded it – and have plotted failed coups against it since. Turkey’s government is no more extreme than Italian or German Christian Democrats have been in government. So assuming any dictatorship is better than allowing Muslim parties to form a government is fear mongering. Democratically elected governments like Hamas in the Palestinian Authority and the coalition including Hezbollah in Lebanon are out of favour and the US is happy to let Israel (which pretends to be “the only democracy in the Middle East”) bomb and invade the only other two. This does not make Hamas paragons of virtue – they have murdered Fatah supporting Palestinian civilians and Israeli civilians (just as Fatah have murdered Hamas supporters and Israelis and Israeli forces routinely murder Palestinian civilians) and are trying to enforce ludicrous and oppressive Islamic fundamentalism on Gazans, but the fact remains that until the US and European governments stop funding and arming the Israeli occupation of the West Bank and the blockade on Gaza; and stop funding, arming and supporting dictatorships across the Arab world, their claims to support democracy should be met with vocal contempt by everyone; the fact remains that our allies like Fatah and our own governments have no better record on human rights or democracy in the Arab world than Hamas or the Muslim Brotherhoods in Egypt or Jordan do; and the fact remains that we should recognise the results of free and fair elections. 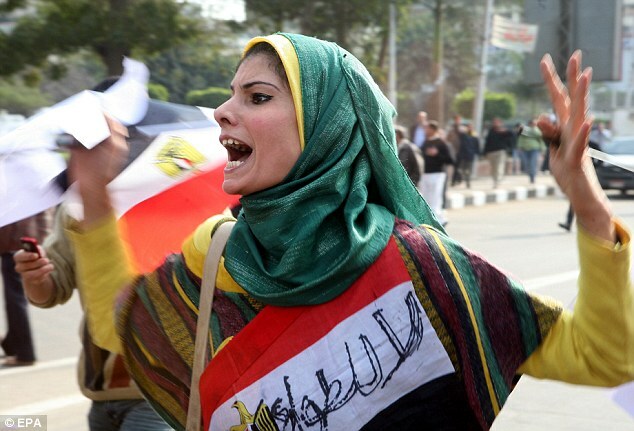 Supporting dictatorships is supposedly excused by the need to keep Islamic groups out of power. What right does anyone have to tell another country what government they should elect? How likely is supporting dictatorships that murder and torture people in other countries to make their populations less extreme and more friendly towards us? Read, for instance ‘The Far Enemy’, a book by Fawaz Gerges, an expert on Jihadist groups, and you’ll find that the entire existence of Al Qa’ida and it’s decision to target the US and it’s allies are the result of our governments’ support for these dictatorships. The “near enemy” is the Jihadists’ term for the dictatorships in their own countries – the “far enemy” being the governments abroad supporting those dictatorships. The obvious way to reduce the threat from terrorism is to stop aiding torturers and dictators – and recognise democratically elected governments, including Hamas as part of the Palestinian Authority’s government. This will weaken the armed Jihadist groups as their main recruiting points will be gone. How long can Obama twist in the wind over this? The semantice claptrap has gone into overdrive. Can he abandon the faithful lackey Mubarak? He appealed for a 'positive' outcome to the events on BBC News last night, thinking that this was a sufficiently meaningless word to offend nobody. Positive for whom though? The US and Israel as we both know. And the Egyptian people, 'the people of an ancient civilisation' (bleurrggghh!) as he called them? Only bit players. As usual he seems to be focused on his poll ratings in the US above everything - democracy or other peoples' lives don't seem to matter compared to "triangulation". The right in America are saying his statements are taking the side of the protesters and putting a key alliance at risk - i wish they were right. I doubt Obama will show any more foresight than Carter did in 1979 - but hopefully Mubarak is finished either way. One of the biggest problem in all time is money. Some says money is just a matter but let's face the truth that money can rule us now. From of Government is just a propaganda. The real thing is powerful country is engaging because of empowering power and gain more money.